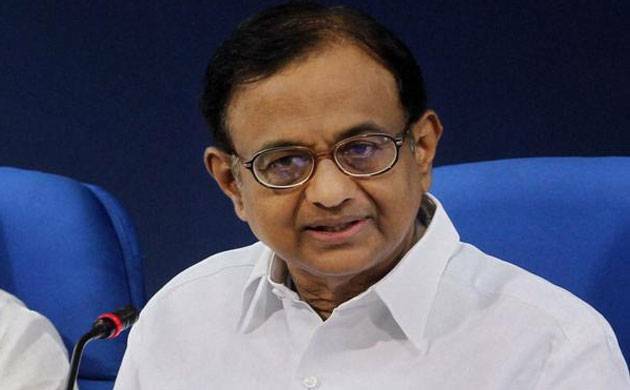 While noting that all governments have responded to this “challenge” by deploying more troops and killing protesters, Congress leader P Chidambaram on Sunday said that a "muscular" policy will not resolve the Jammu and Kashmir issue. "Every government in J&K and every government at the Centre has responded to the challenge with more warnings, more troops and more laws. A muscular policy will not help - tough talk by ministers, dire warnings by the Army Chief, deploying more troops or killing protesters," the former Home Minister said on Twitter. Congress leader Digvijay Singh said that it is important to win over people of Kashmir, who were being killed both by the terrorists and the security forces and things have deteriorated in the recent past. He claimed that the situation had normalised during the previous Congress regime, but deteriorated during the current PDP-BJP dispensation. "Those who lost their eyes, those whose entire family were killed, they are being killed from both sides, from one side, terrorism kills them, on the other side, our forces kill them. The situation had normalised. "From 2005-2013-14, just one year 2010-11 there was some disturbance, normal elections had started, peace had prevailed. But PDP-BJP government came and there was a sense of distrust. If you have to keep Kashmir with you, will you not keep its people with you? Will you not create trust in them or not?" Singh said. These remarks come in the wake of continued unrest in the Kashmir valley. Such conditions have also resulted in a poor voter turnout and violence during the recent Srinagar Lok Sabha by-elections during which at least eight people lost their lives. The Kashmir valley has been on the boil ever since the killing of terrorist leader Burhan Wani by security forces last year. There has been a spate of incidents involving skirmishes between locals and security forces including stone pelting incidents followed by a controversial "human shield" video that was circulated on the social media. A video had surfaced in which a youth was allegedly tied to an army jeep as a human shield against stone pelters. In view of the current situation in the valley, Army Chief General Bipin Rawat today apprised National Security Advisor Ajit Doval of the security situation in Kashmir, amid growing outrage in the Valley over the "human shield" video. Rawat's meeting with Doval comes a day after he had separate deliberations with Jammu and Kashmir Chief Minister Mehbooba Mufti and Governor N N Vohra over the law and order situation during his visit to the state. Meanwhile, normal life was today affected in the Kashmir Valley due to a strike called by separatists to protest the killing of a 23-year-old man allegedly in firing by BSF jawans in Batamaloo area of the city.